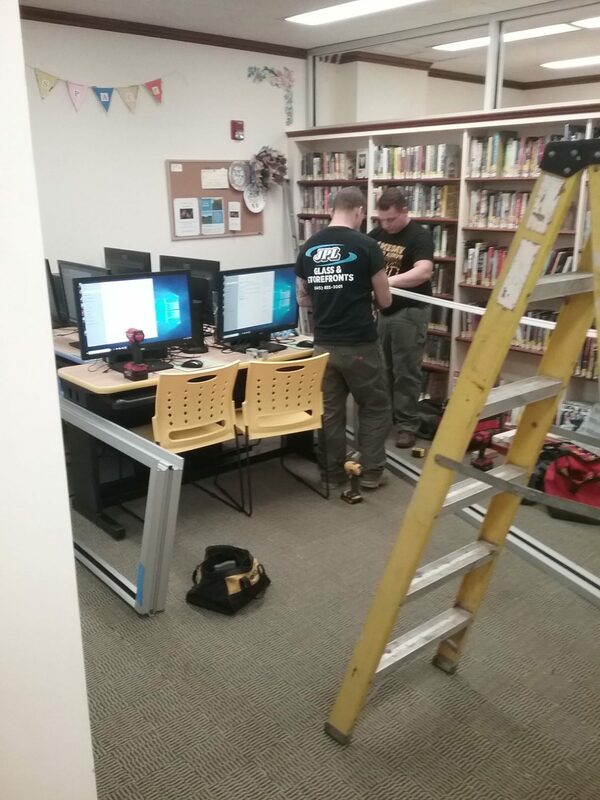 JPL Construction of Pawling has nearly completed the glass enclosure for the Teen Space at the Pawling Library. This designated space will house six computers for teen use along with 3 color coordinated computer tables and chairs. Additionally, the space will have storage for games, and magazines, as well as a counter space and stools providing additional work and play space, plus plenty of shelving for books and movies. Partial funding for this space has been provided to the library through a Bullet Aid Grant from New York State and Putnam County Savings Bank. The teens have been looking forward to moving in and enjoying their very own digs. Library patrons are invited to stop by to view this newest library addition.